More and more, cities are acting independently of – or even in direct opposition to – their national governments. This trend is seen, for example, in the group of American “Climate Mayors” that remain committed to the Paris Agreement even after the White House announced its intention to withdraw. It is partly behind the spate of organizations like C40 Cities and ICLEI, where local governments build relationships and exchange best practices with each other across national borders. In this context, should national governments take a back seat as their socially progressive, politically experimental cities forge their own path? It’s not that simple. Certainly, the evidence shows that much climate action and human development will need to happen in cities. But not everything that happens in cities can or should be done by cities alone. National policies have a powerful, albeit sometimes subtle role in how cities take shape. A new report by Derik Broekhoff, Georgia Piggot, and Peter Erickson for the Coalition for Urban Transitions, “Building Thriving, Low-Carbon Cities: An Overview of Policy Options for National Governments,” found that cities could deliver 15 percent of the emissions reductions needed to avoid the most serious levels of climate change. Some national policies have direct, intentional effects on cities. National standards that make buildings more energy efficient can drive down electricity demand in cities, for example, and national standards for vehicle emissions have especially strong effects on urban air quality. In Denmark, a national policy brought into force in 2011 required heavy-duty diesel vehicles to meet the Euro 4 standard or install a particle filter. The law particularly impacted air quality in cities, where almost half the air pollution came from diesel trucks and buses. At the same time, the national government allowed cities to introduce low-emission zones, giving local governments power to pursue complementary and potentially even more aggressive emissions policies. Other national policies influence cities in more indirect, and sometimes unintended, ways. In the United States, national fuel subsidies and tax breaks for owners of single-family homes have made urban sprawl appealing. 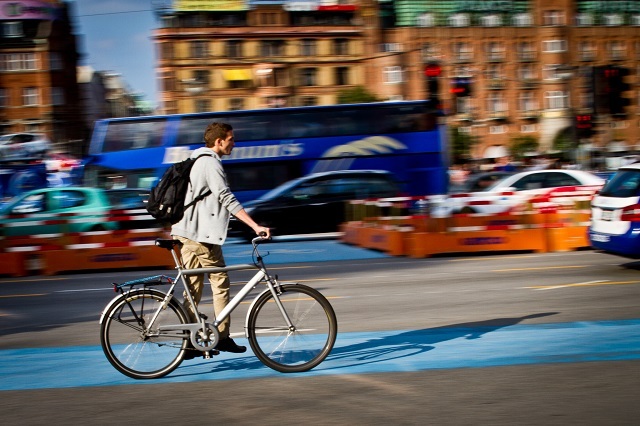 As people need to commute further, their carbon emissions from transport increase. In contrast, land and property taxes in European nations incentivize more compact urban forms. National governments can also strongly influence the mix of electricity sources supplying cities. National decisions to support coal versus solar panels, for example, affect the carbon intensity of electricity in cities across a country, regardless of local policies. National governments aren’t the only ones that are neglected in conversations about the future of cities. As global magnet cities flex their diplomatic muscles, it is easy to forget that only 13 percent of urban residents live in megacities like New York or Tokyo. Small- and medium-sized cities don’t often get the attention they deserve, even though about half the world’s urban population lives in urban areas of 500,000 people or less. These cities will be key in the fight against climate change: Broekhoff and his co-authors found that almost half of the urban climate change mitigation potential resides in small and medium-sized cities. However, smaller cities are likely to have less local government capacity and smaller budgets. This means that they will depend more heavily on their national governments to provide support. National backing can take many forms, such as resources or training for local capacity building, or funding for urban projects. The South African constitution, for example, explicitly allows cities to issue municipal bonds if they fulfil specific conditions. This motivates local governments to improve revenue collection and experiment with debt financing. Johannesburg has since pioneered a “green municipal bond,” the first in an emerging market. Cities will be crucial in fighting climate change and providing a brighter future for their growing populations. Many cities are already rising to the task, forging ahead of their national governments in cutting emissions, and gaining well-deserved accolades in the media and among their peer cities. However, with the spotlight on these progressive megacities, it is easy to overlook the role of national governments and smaller cities in enabling climate change mitigation. To realize the full potential of cities, national governments need to align federal policies in energy, housing, transportation, and finance, and support cities with fewer resources in order to achieve big impacts. The greenest cities can only exist within green countries. Leah Lazer is a Research Analyst at the Coalition for Urban Transitions, a New Climate Economy Special Initiative hosted by WRI Ross Center for Sustainable Cities and jointly managed by C40 Cities Climate Leadership Group and World Resources Institute.